Goals. And trying. And failing. 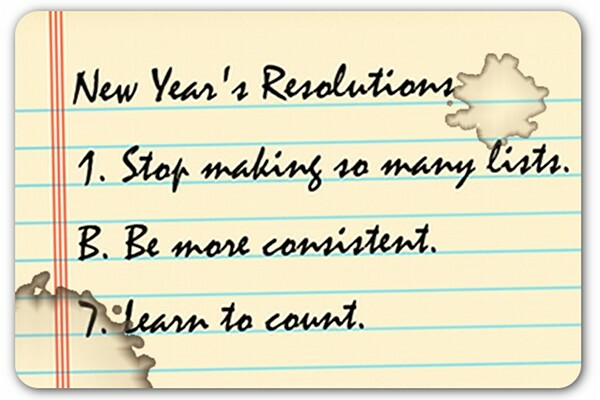 I like New Year’s resolutions. They do feel like a fresh, new start. And with the exception of a few superhuman individuals, the rest of us don’t always accomplish our goals with the same kind of perfection we intended. You know what? It’s fine. Really. Fine. The trick is to not be such a perfectionist that we abandon goals completely because we don’t like doing them less than perfectly. Sure, we can be more “perfect” by having fewer goals, but growth comes from the effort–from the stop and go, from the oops and up again, and from analysis and course correction. My sister recently asked me about diminished motivation when goals start going sour, so I did a little research and found some great talks and articles that might be helpful in rekindling your goal-fire. See? Permission. Here are a few more great talks to study, and some quotes from each. Elder Ballard’s talk Keeping Life’s Demands in Balance reminds me to keep my goals in line with true priorities and treat those successes as the most important. Many people have heavy demands upon them stemming from parental, family, employment, church, and civic responsibilities. Keeping everything in balance can be a real problem. A periodic review of the covenants we have made with the Lord will help us with our priorities and with balance in our lives. This review will help us see where we need to repent and change our lives to ensure that we are worthy of the promises that accompany our covenants and sacred ordinances. Working out our own salvation requires good planning and a deliberate, valiant effort. In Because of Your Steadiness, Pres. Eyring is mostly talking about home teaching, but he reminds me that a little more attention can help my efforts move from occasional to more consistent. You may have learned endurance playing a trumpet, or throwing a football, or riding a bucking horse, or drawing a picture. But you learned what we all did. Effort only “now and then” didn’t take you far. The dreams that turned into reality stuck with you nearly all the time. You worked at them, either in fact or in your thoughts, every day and almost every hour. Finally, the talk Stay on the True Course by Elder Carlos Asay reminded me that I am more likely to be successful if I keep my eyes on the Savior and trust that when I do fall, he will be quick to save and get me on my feet again. The need to remain focused on eternal goals is illustrated in the biblical account of Jesus walking on the sea and Peter’s desire to do the same. Peter progressed over the water so long as he looked to Christ. But when he diverted his gaze away from the Master and allowed fear and doubt to enter in, he began to sink. … We must reaffirm the goal that matters most and press toward it “looking forward with an eye of faith” (Alma 32:40). So if you’re in a mid-January state of disappointment, pull out your resolutions again, get on your knees again, and get back to work. And give yourself permission to repeat the process as needed. I think we might be doing better than we give ourselves credit for. Seriously, not ten minutes ago, Joel and I were in the kitchen discussing my all or nothing nature. 🙂 I said, I’ve got to go look up that one talk Elder Ballard once gave on finding balance. I’m at my computer, decided to check blogs for a second first, and YOU HAVE LINKED THAT TALK! Not a coincidence. I really needed to read this. This is partly why I have begun choosing a word and trying to apply it to my life instead of making New Year’s Resolutions. I still have plenty of goals, but the word seems to be more of a thing I’m always working on and don’t have to be perfect at right away than a resolution typically does for me. It is also very useful to employ visualization to your goal setting work. Can you see what a day is like after you completed your goal? Look at that day everyday between now and then. Love this post! Thanks for your insights and all the Conference talks/Ensign articles. What a great way to study. This was encouraging . . . my sister sets hard goals and is proud of herself when she accomplishes some of them. I set hard goals and fall apart when I hit the first bump in the road. I want to be more like my sister! Perhaps she understands better than I do the points you made in this post. I can’t believe how long it took me to sort of learn this, and I’m still learning to not get discouraged when I have a setback.